It is incredibly difficult to explain this ramen to someone who has never tried it. It’s certainly delicious. There’s no question about how good it is, but it doesn’t have any easily understandable defining feature, such as a certain topping or a special twist, and this makes it difficult to explain. To put it simply, it is extremely high quality, Japanese-style soy sauce ramen with a hint of dried sardine flavor. 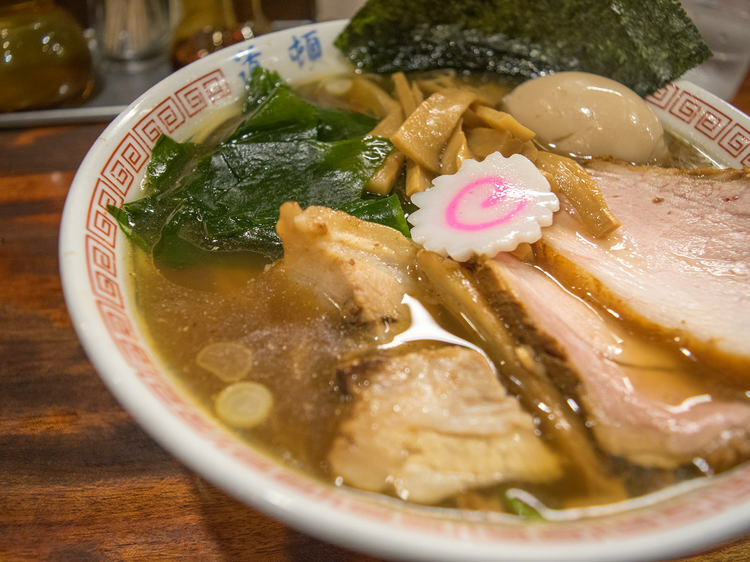 It is simply and purely delicious ramen and without a doubt one of Tokyo’s hallmark delicacies. (Author’s Note: The owner) Shoji is quite inquisitive and always eager to further his learning. He steadily works on improving his ramen by raising the quality of his ingredients and even tackling the challenge of homemade noodles. “They don’t pre-slice their char siu pork despite being such a popular restaurant, and I’m always impressed by things like this that show how carefully they craft their dishes. The lean, meaty flavor of thick-cut char siu pork sliced fresh for each order is a defining feature of the restaurant. The owner’s character shows not only in his ramen but in every aspect of the restaurant. Ramen fans from all over the country form a constant line outside, but no one loses their patience in line, and the shop has a reputation as a beloved, local ramen shop with many local customers as well. Customers coming as families is another distinct characteristic of Dotonbori. This is not something often seen at a ramen shop with a line out the door. Even when they are very busy, the owner himself smiles and speaks to customers and their little children and sometimes even gives them candy as a treat. The entire restaurant is filled with a warm and inviting atmosphere. The diligent owner’s policies stand behind the restaurant’s warm atmosphere as well. Below is a comment from the owner himself from the previously mentioned dancyu article. Ramen shops were originally places where families could bring their children without any worries. I want my shop to be like that. In the over 30 years since its establishment, Dotonbori’s ramen has firmly found its place in the hearts of men and women of all ages as a dish loved by ramen connoisseurs and locals alike. It is a hallmark delicacy of the Tokyo area that everyone simply must try. 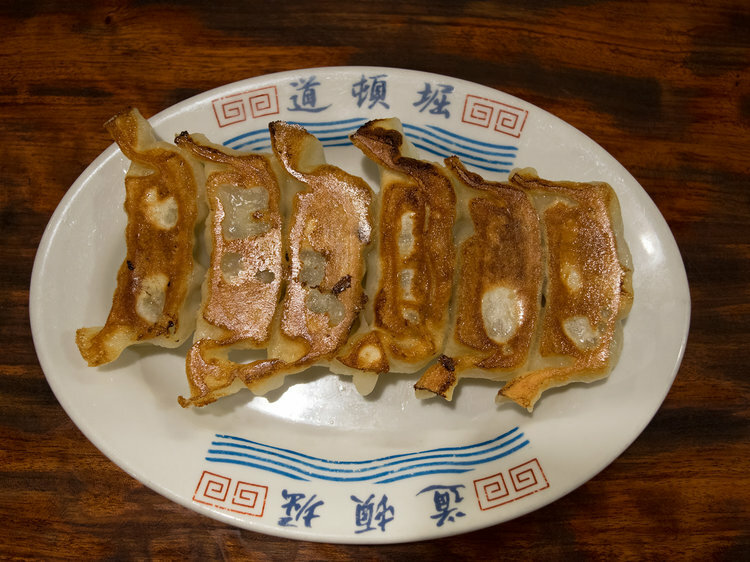 Yaki-Gyoza - ¥500 The savory and juicy yaki-gyoza are a must-eat as well.